Supplies broad-spectrum disease control for ornamentals and turfgrass. Contains Thiopanate Methyl. 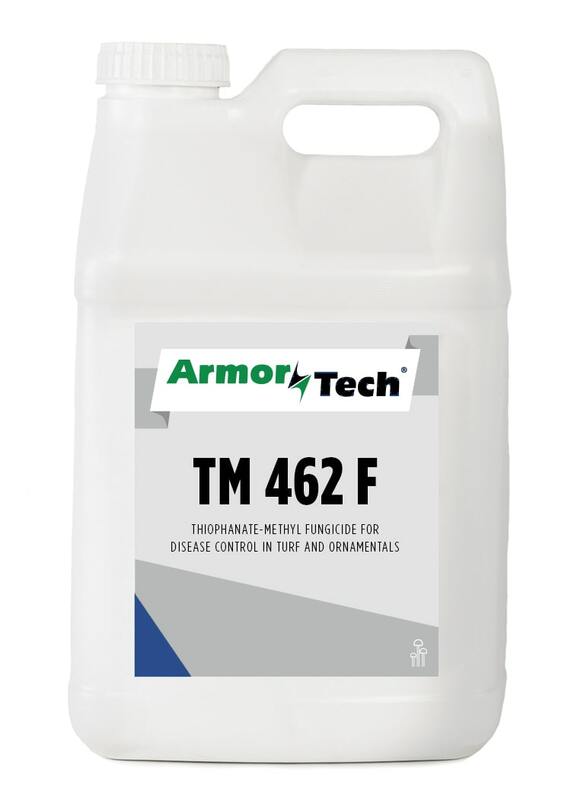 ArmorTech® TM 462 provides control of a broad spectrum of diseases of bedding, flowering, herbaceous and tropical foliage plants, shrubs, trees and flowers, containerized woody shrubs and trees and turfgrass. Compare to Cleary 3336™F, Fungo, SysTech 1998®, Olympic 6672 and LESCO T-Storm.